Our predilection toward space-eating, defensive-minded centers is well known around these parts, but former Memphis Grizzlies (and kinda Toronto Raptors) big man Hamed Haddadi has always had a place in our hearts for his sense of humor. 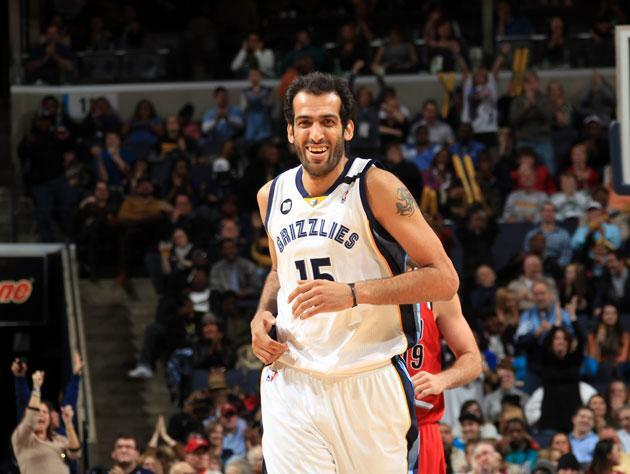 The native of Iran is a hilarious Twitter follow, and he kept up his sense of self during a tumultuous time with the Grizzlies from 2008 to 2013. Haddadi has overcome language (and self-expression) barriers, visa issues, and up and down playing time in five years before he was shipped to Toronto earlier this month in the Rudy Gay deal. After being denied the chance to play with the Raptors because of those same visa issues, Haddadi was dealt to Phoenix last week for point guard Sebastian Telfair. 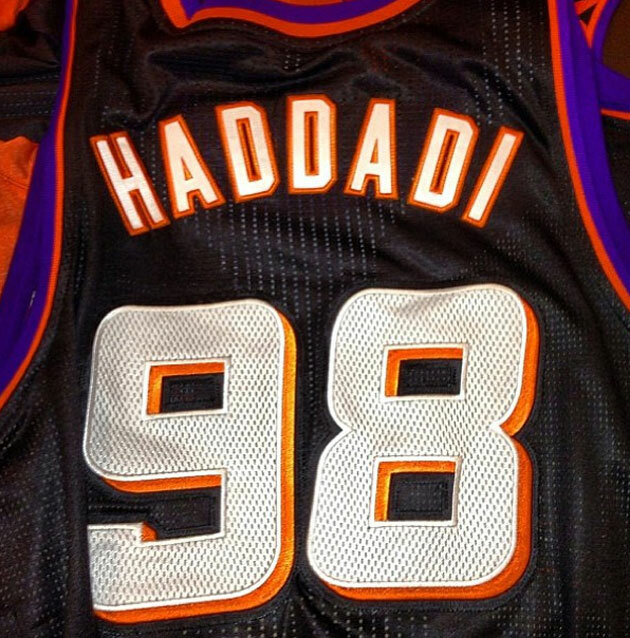 In suiting up for a team that could use his services on the interior, Haddadi decided to pay tribute to his home country in choosing his new Suns number. Looking forward to 2nites game w spurs. Hope to show you guys my new jersey # 98! Has 2 special meanings for me. Anyone know what the 2 are? It is Iran’s national telephone code, something Haddadi probably has touchscreen memory for at this point, and we think it’s a pretty cool tribute. Leaving politics (to put it very mildly) aside and understanding the sort of person Hamed is, he’s worth a cheer. And, as the 27-year old enters a prime on a team that could stand for a defensive upgrade in the pivot at times, it’s possible we’ll be seeing that a lot. Again, leaving the work of governments out of our appreciation for the individual, it’s a sound choice.